This weekend the Danish Barista Championship as well as Latte Art and Cupping competitions is being held at Frederiksberg Hallerne, Jens Jessens vej 20, 2000 Frb. C.
Three of our baristas will be competing: Torfi, Peter E and Omar. So come by and cheer for them this weekend. Saturday at 10.00 the Latte Art Competition will start and at 14.00 the Barista Championship takes off with 6 participants in total. Sunday at 10.00 is the Cupping competition and Samuli, our new bar manager at Jægersborggade and previous Danish cupping champion will compete. 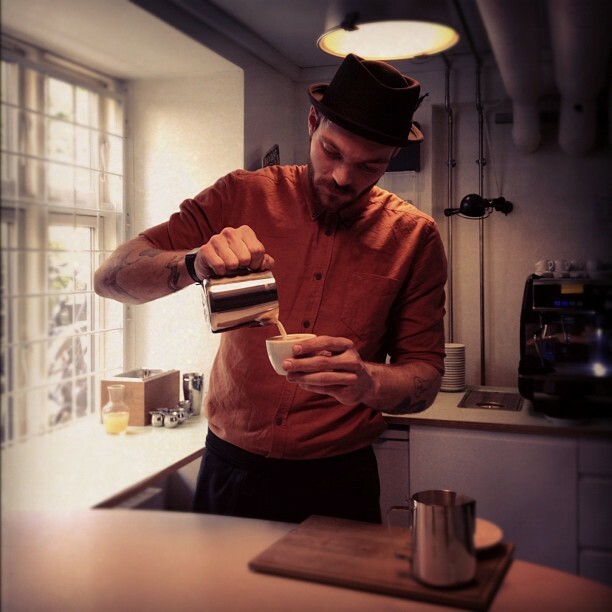 The at 14.00 it's the Finals of the Danish Barista Championship. From what we know it's going to be a small event, but it's open to anyone.